Fall is the time to think about putting in your tulips and daffodils for next year. It’s so wonderful to see their cheery arrival in spring. 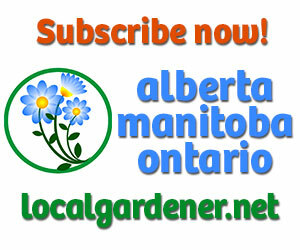 You can start this in October or early November and you can still plant bulbs until the snow flies. The ground will be warm enough under the surface to stimulate a little root growth. Be sure to check the blooming times on the packages. 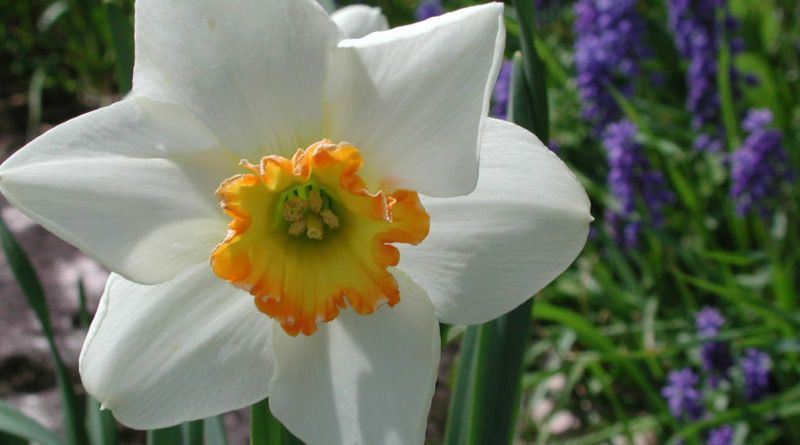 Get a variety of early, mid and late-blooming spring bulbs so that you’ll have a good display right from late April to the end of June. The early bulbs can be a bit vulnerable. 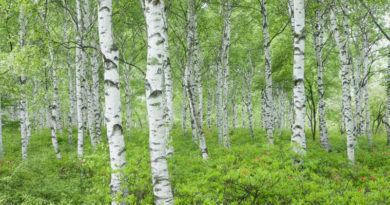 They tend to be very eager to emerge in early spring and can end up with frostbite on their leaf tips and even blossoms. But you can always cover them in a late spring. The species tulips are a good bet because they are hardy and will increase over time. 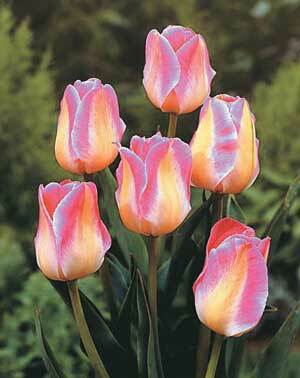 Species tulips are those tulips that have not been hybridized. They vary in height from 10 cm to 40 cm. 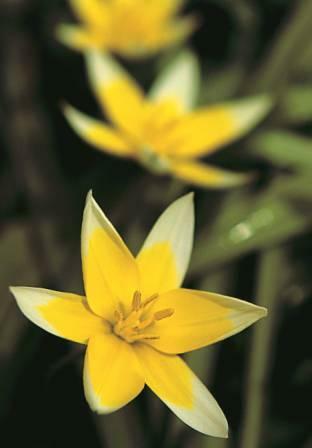 Look for Tulipa biflora which grows to only 12 cm tall, but has a red-edged foliage and three white flowers with large yellow hearts on each stem. The emerging blossoms are pink on the outside of the petals. 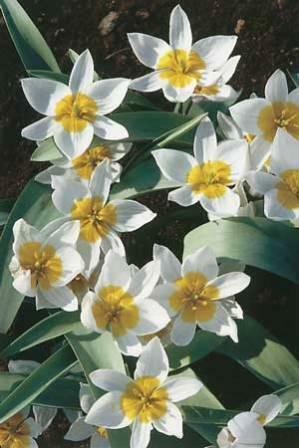 Tulipa tarda is a favourite locally and its yellow and white blossoms put on a brilliant display. The Darwins, the big showy tulips which produce a single 15-cm blossom on a very tall stem (some as tall as 86 cm), and other hybrids often don’t blossom a second year in this climate, but they’re worth planting as annuals. 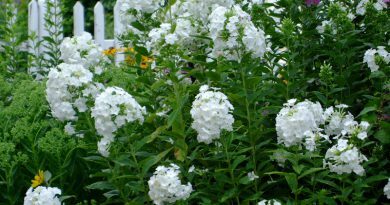 Plant them a bit deeper than recommended on the package, don’t cut back the foliage until it’s completely yellow and fertilize the bulbs with bone meal – and you may have better luck. Don’t forget to put a few hyacinths in a protected place, where there is heavy snow cover. They are rated zone 4, but the heavenly scent makes them worth the risk. I have some that have been coming back for years. You can mulch them to improve the chances of over-wintering and if you are in a zone colder than 4, plant them a bit deeper than the recommended 10 to 15 cm. 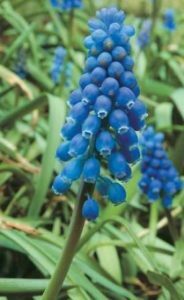 The little blue Muscari or grape hyacinths are a perfect foil for yellow daffodils. 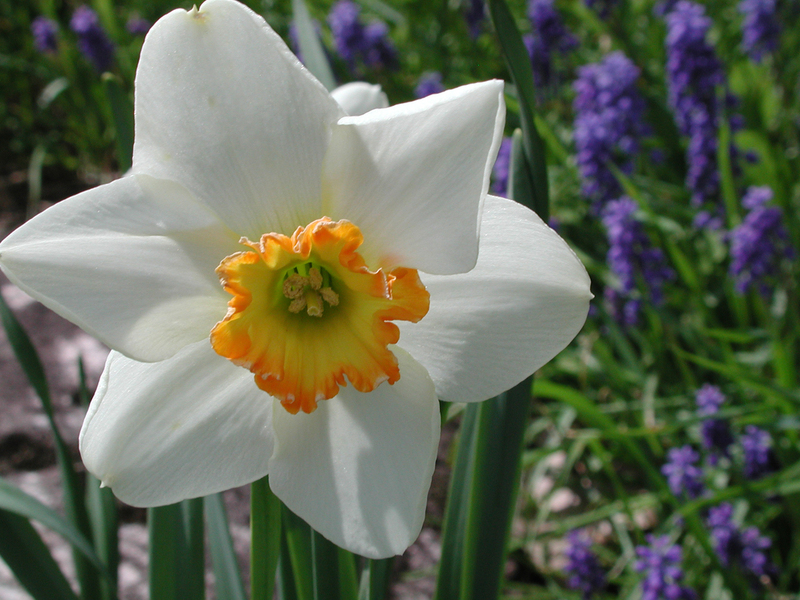 These small bulbs produce small bell-shaped flowers on a 15-cm stem that bloom about the same time as daffodils. They are very hardy and will readily increase so that you can have a carpet of blue if you like. Speaking of daffodils, is there anything lovelier in early spring than a “host of golden daffodils”, to quote Wordsworth? Squirrels don’t like them and neither do rabbits or deer, but the human heart gladdens at the sight of their sunny blooms. There are many hybrids in many colours from white to pink to peach and orange and combinations thereof, but the traditional yellow trumpet is the most hardy and reliable. 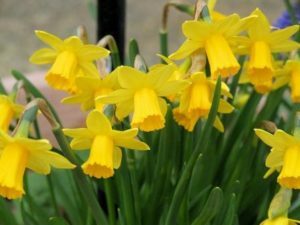 The gold standard is ‘King Alfred’, introduced in England in 1988 by John Kendall, but you are most likely getting a later improvement when you buy the bulb under this name today. They are also deer, rabbit and squirrel proof. They send up their globe-like blooms in late spring to early summer. They are also rated zone 4. Finally, don’t forget to plant some crocus. They come up very early – often while there is still some snow on the ground – to capture the first rays of sun with their parabolic petals and bright yellow centres. By the way, if you have bulb-digging squirrels in your yard, you can deter them by laying some chicken wire just under the surface of the earth where your tulips are planted. There are many types of “bulbs”. 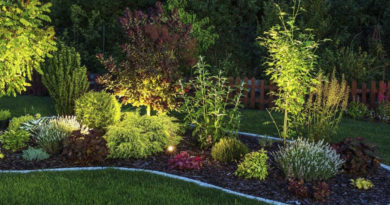 Some of them are actually tubers and some corms and some are rhizomes, but daffodils, tulips and hyacinths are all true bulbs – an onion-like root that serves as a storage place for the dormant plant. Plant your bulbs with the pointed end up. If it doesn’t seem to have a pointed end, look for the flatter side and evidence of roots, which is the end that goes down. If you still can’t be sure, plant the bulb on its side and it will figure out the proper direction by itself. 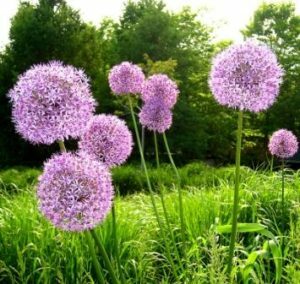 The rule of thumb is to plant the bulb two or three times as deep as the bulb is tall. In colder climates, you may want to add two cm. The depth is to the base of the bulb, not the top. Bulbs like it dry, so avoid soggy conditions.